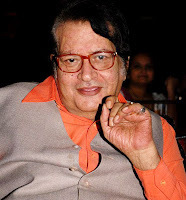 Manoj Kumar, the actor and director of various Hindi movies will be felicitated with Dada Saheb Phalke award for the year 2007. The Dadasaheb Phalke Award is an annual award given by the Indian government for lifetime contribution to Indian cinema. It was instituted in 1969, the birth centenary year of Dadasaheb Phalke, considered the father of Indian cinema. The award for a particular year is given during the end of the following year along with the National Film Awards. The Bombay High Court had directed the Directorate of Film Festivals of India (DFFI) to consider uncensored films for the competition, a case which DFFI contested and won in the Supreme Court in late 2006. The case had delayed announcement of the award for 2006, which was announced in the middle of 2008. Manoj Kumar was born in Abbottabad, a town of the North-West Frontier Province, British India. Abbottabad is now located within the borders of Pakistan. His original name was Harikishan Giri Goswami. When he was 10, his Gosain Hindu family had to move to India owing to partition. They settled in Hanumangarh district, Rajasthan. After graduating from Hindu College, University of Delhi, he decided to enter the film industry. As a youth, he admired Bollywood superstar Dilip Kumar, and decided to name himself Manoj Kumar after Dilip's character in Shabnam (1949). After making a little-noticed début in Fashion in 1957, Manoj landed his first leading role in Kaanch Ki Gudia (1960) opposite Sayeeda Khan. Piya Milan Ki Aas and Reshmi Roomal followed, setting the stage for the Vijay Bhatt-directed Hariyali Aur Raasta (1962) opposite Mala Sinha. Kumar then appeared with Sadhana in Raj Khosla's Woh Kaun Thi (1964), and reunited with Vijay Bhatt and Mala Sinha in Himalaya Ki God Mein (1965). Kumar's image as the patriotic hero started with the 1965 film Shaheed, based on the life of Bhagat Singh, a martyr in the struggle for India's freedom. After the Indo-Pakistani War of 1965, Prime Minister Lal Bahadur Shastri asked him to create a film based on the popular slogan Jai Jawan Jai Kissan (Hail the soldier, hail the farmer). The result was Kumar's magnum opus and his directorial debut, Upkaar (1967). In it, he played both a soldier and a farmer. The film was also noted for the famous song Mere Desh Ki Dharti, written by Gulshan Bawra, composed by Kalyanji-Anandji and sung by Mahendra Kapoor. Upkaar was a hit and won Kumar his first Filmfare Best Director Award. After dabbling in various roles in the late 1960s, Manoj returned to patriotic themes in Purab Aur Paschim (1970), in which life in the East and West are juxtaposed. In 1972, he starred in Be-Imaan (for which he won the Filmfare Best Actor Award) and directed and starred in Shor (1972). The latter, opposite Jaya Bhaduri, was not a huge box office success, but it did feature the memorable song Ek Pyar Ka Nagma Hai, a duet by Lata Mangeshkar and Mukesh, which was composed by Laxmikant Pyarelal. The mid-1970s saw Kumar star in three hit films: Roti Kapda Aur Makaan (1974) was a social commentary featuring an all-star cast including Zeenat Aman, Shashi Kapoor and Amitabh Bachchan that won him his second Filmfare Award for Best Director; Sanyasi (1975) had Kumar and Hema Malini in the lead roles of a religious-themed comedy; and Dus Numbri (1976) also gave Kumar and Hema top billing. In 1981, Kumar reached the peak of his career when he got the opportunity to direct his idol, Dilip Kumar, as well as star in Kranti, a story about the struggle for Indian independence in the 19th century. Kranti was the last notable successful film in his career. After Kranti, Kumar's career began to decline. Many of his films failed at the box office, including 1989's Clerk. He quit acting after his last film appearance in the 1995 film Maidan-E-Jung. His son, Kunal Goswami, tried to revive the patriotic theme, and was directed by Kumar in the 1999 film Jai Hind which was a flop. Kumar was awarded the Filmfare Lifetime Achievement Award that same year. Kumar's acting trademark, a hand covering the face, was very popular, though it has also been the target of satirists. In 2007, the Shah Rukh Khan film Om Shanti Om featured the lead character pretending to be Manoj Kumar so as to sneak into a movie premiere, by holding his hand over his face. Kumar filed a lawsuit, which was settled out of court. Like many other Bollywood stars, Kumar decided to enter politics following his retirement. Before the 2004 general election in India, it was announced that he had officially joined the ranks of the Shiv Sena. Kumar is married to Shashi Goswami (originally from Jodhkan, Sirsa district, Haryana). His brother Rajiv Goswami, and son Kunal Goswami, also entered the film industry.